Have you been thinking about adding guest beers to your brewery tasting room or brewpub menu? You’re not alone. 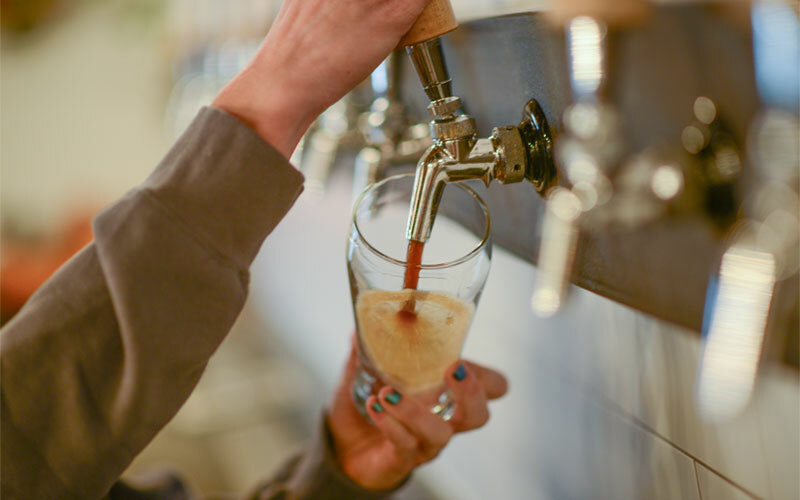 With the surge in the number of breweries nationwide and the increasing consumer demand for variety, many tasting rooms and brewpubs are serving other breweries’ craft beers alongside their own brands. I reached out to fellow owners, brewers, and operators representing 135 locations around the U.S. to get their take on serving guest beers. Hopefully, their insights will help you decide which direction is best for your location. Here’s a look at the various issues that emerged from the survey. Variety was the most popular reason cited for carrying guest draft beers. Guests are becoming more conscious of beer flavor, styles, and profiles. A beer menu lacking in certain categories can be a no-go for a consumer set in his or her preferences. Complementing your tasting room’s offerings with guest beers can help fill that void. Other brewers indicated that while full-time guest draft lines are important, they can be a challenge. Pat Ringe, VP of brewing operations at Diamond Knot Craft Brewing in Mukilteo, Wash., said the brewery solved its dilemma by hosting monthly brewers’ nights. “We bring in three or so of the guests’ beers, and they come out and represent themselves with their physical presence and some branded merch. 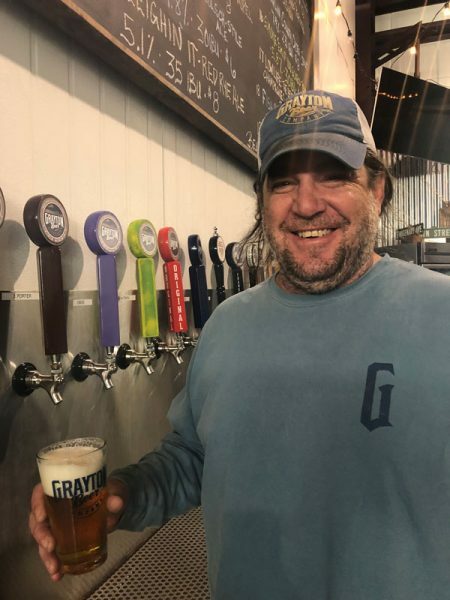 We pour through the kegs and then ultimately replace them with our own beers as their kegs blow.” Pat indicated that the brewery tried for a period to keep a guest handle, but it proved to be too challenging. The once-a-month evening has become a real draw, bringing in a new audience and incorporating a bit of the newness principle into Diamond Knot’s lineup. On the flip side, some respondents cautioned against providing too much variety. Tom Dargen of CraftWorks Restaurants & Breweries, which includes the Rock Bottom and Gordon Biersch brands, commented, “Curated lists are becoming more desirable to having 50 beers on tap.” Last year, CraftWorks hired a research firm to explore the ideal guest beer list size, and the resulting median number of draft beers was nine. One interesting note of the study was that frequent guests felt the number was too low, while infrequent guests thought it was too high. Many respondents echoed this sentiment, and according to a national installer, the average number of draft lines being installed in new bars and restaurants is declining. The rush of bars opening with 30 or more draft lines seems to be slowing as more new installs are for fewer than 20 draft lines. Today’s craft beer consumer is frequently chasing new product offerings and brands. Whether the goal is to gain check-ins on a beer tracking app or just a desire to try as many beers as possible, brand loyalty is being displaced in many cases by brand notching. Offering guest beers can make the challenge of keeping something “new” on tap a bit easier. This is especially true for a tasting room or brewery taproom, where product offerings may be limited to year-round and staple seasonals. Bev Robertson from Bushwakker Brewpub takes the approach of doubling down on new. “We support new entrants to the craft sector by featuring their beers and operate on the assumption that we are all building the market for craft beer together,” he said. This solution helps make the Bushwakker taproom a place to try new things and keeps their audience coming back. Small breweries and brewpubs sometimes have difficulty keeping up with production demands. Empty handles put stress on the full ones, tapping them out faster. Keeping empty handles filled with guest beers can help soften the production blow while retaining customers who may have otherwise moved on and/or left with a poor impression. At Whetstone Station, our small 3.5 bbl system is barely able to eke out three or four house offerings on tap at a time. Our large rotating guest draft list helps keep the 16 draft lines filled and encourages patrons to check in to see what’s new. Of course, house beers still outsell guest drafts, often four to one, as most guests lean toward the house-brewed beers at a brewery. However, like many areas of the country, several new breweries have recently opened in his market, changing his perspective. “Now with the brewery competition, we will begin rolling out a guest beer program as a point of differentiation,” he said. 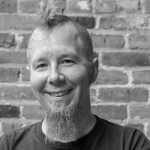 “While I remain steadfast that it is not a good financial decision by the books, I am banking on it now to create a bump in sales or prevent a dip in sales due to the new breweries.” He’s also optimistic that providing some guest beers will allow his brewery team to concentrate on a few more of its core beers as the brewery works to grow its wholesale distribution. As in many aspects of the craft brewing industry, state and local laws often play a large role in the decision to carry guest beers. Several respondents indicated that they were legally prohibited from selling guest beers at their locations. Fred Lee of Actual Brewing in Columbus, Ohio said, “I can buy an additional liquor license that allows me to sell other beer, liquor, and wine, but it’s very expensive and doesn’t work for my current production location.” However, he said that for an upcoming expansion to a downtown location, he intends to obtain the license and offer guest draft lines. At the same time, some jurisdictions legally require the opposite. “In Wisconsin, we are required by law to carry another brewer’s products when we carry a brewpub license,” commented Steve Peters of Two Beagles Brewpub. 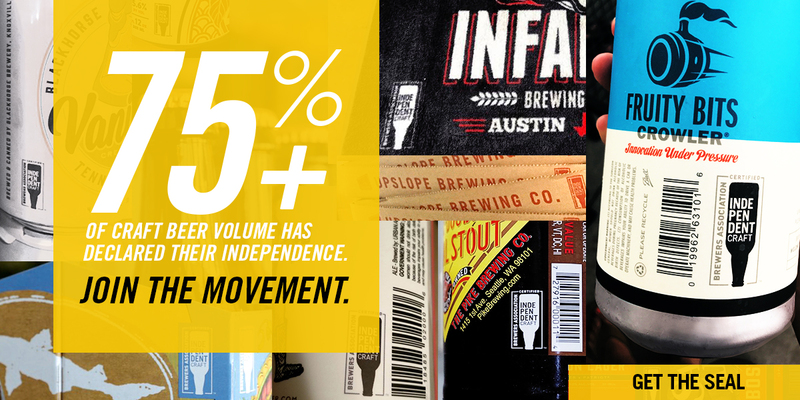 As the number of breweries grows, consumers are exposed to, and subsequently expect, more variety than ever before in the marketplace. With the similar growth of beer-specific social media platforms, there is an increased drive to try as many of those new beers as possible. 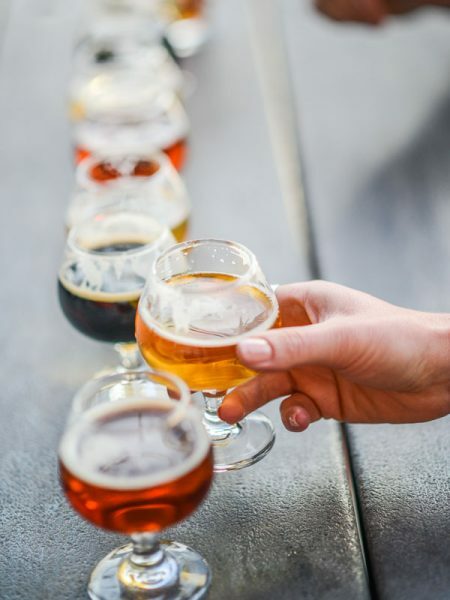 While breweries and brewpubs need to protect their brand integrity and their own portfolios, a carefully crafted balance of guest beers can be a sure way to grow on-premises business. Tim Brady and his wife Amy live and work in Brattleboro, Vermont. Their company, Whetstone Station Restaurant, Brewery & Bier Garten, offers inspired food, local craft beers and great specialty drinks in a picturesque waterfront location. Tim is an active member of the Brewers Association Brewpub Committee.